It reaches PS4, Xbox One and PC in 2019. 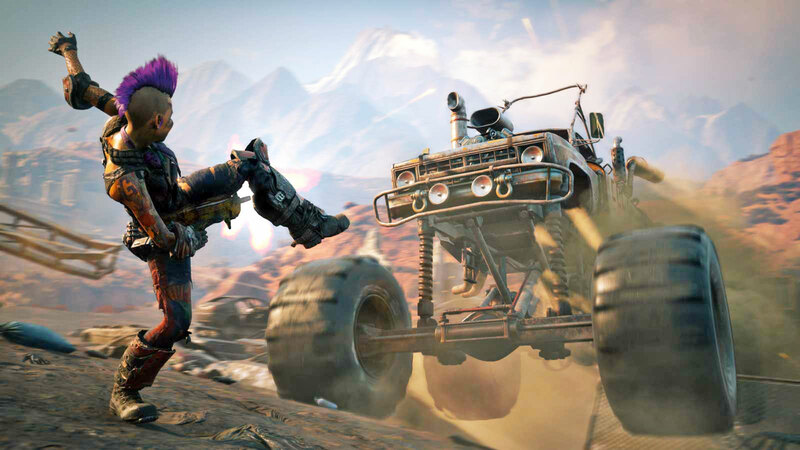 Bethesda's initial teaser for Rage 2 may have been long on hype and short on substance, but it's making up for that with the full announcement. The team-up between original Rage creators id Software and Avalanche Studios (best known for Just Cause and, appropriately, Mad Max) promises to be a significant expansion of the first game's post-apocalpytic open-world concept. The premise is familiar -- you're still fighting gangs, mutants and the oppressive Authority through a mix of on-foot shooting and vehicular combat -- but the mechanics have changed. Even at this early stage, it's clear the title is borrowing a page from Doom's book. Other upgrades promise a greater variety in environments (there are "swamplands and jungles" in addition to the seemingly omnipresent deserts) and "Nanotrite" abilities that can push enemies back or wipe them out in slam attacks. The game will reach PS4, Xbox One and PCs sometime in 2019, with more info expected at Bethesda's E3 event on June 10th. That's a long time to wait, but it could be worthwhile. The first Rage game was a technological marvel with an intriguing game world, and was hindered mainly by mixed reviews of its gameplay. With Avalanche's involvement and Doom-like elements, Rage 2 might help the franchise live up to its potential.